Ms. Florence Tse is an accomplished HR leader with extensive and diverse experience in HR and organisational management working in the financial industry, public sector both in Hong Kong and Canada, technologies and innovation multinational corporations. 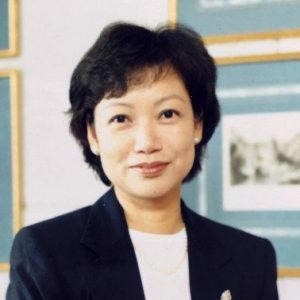 Having worked in the human resources function for over 30 years, Ms. Tse has been actively involved in human resources as a generalist, with outstanding accomplishments in organisational capability and leadership development, rewards, employee engagement, organisational effectiveness and regional resources management (particularly on talent management for business growth in Asia). Pioneer in developing and implementing in-house coaching and mentoring programmes in 2007, she has unlocked the potentials of individuals through coaching and on-the-job experience. In addition, she has been successful in mentoring and coaching leaders/talents, building high performance teams to achieve business objectives. As a result of the in-house coaching/mentoring programme: business performance on Sales was 18% above the target; taking up 11% of the global total; EBIT – 116%; Corporate Functions made saving of 8.5% vs the stretched target of 2%; a strong leadership team of 3 business leaders and corporate functional managers was formed; talent movement rate was 30% vs target of 20%; talent retention rate was kept at 86% per annum; Engagement Index was increased by 14% reaching the HP (high performance organisation) Norm. Coaching was then sustained till now. Meanwhile, Ms. Tse was recognised and awarded as the “Best HR Leader” 2008 in Hong Kong; while her team was awarded as the best HR team globally in the company. Believing in real business partnering, Ms. Tse initiated the “account servicing” model of HR Managers with customised support to business teams on their people management. Meanwhile, with her regional and global experience, Ms. Tse provides strategic inputs and actions to drive business goals and HR transformation to speed up the necessary changes in the technology era. She is also recognised as the best internal facilitator for Change Management, Accelerate Individual & Team Performance, Cultural Changes, Insights, and Talent/Leadership Development programmes. Ms. Tse has been a major HR contributor and core executive member serving various MNC including Royal Philips, Aetna International Inc., Workers’ Compensation Board (Ontario, Canada), Standard Chartered Bank, Lloyds Bank Asia, Canadian Imperial Bank of Commerce Asia, HSBC and HK Government. Her recent employment was dual headed as Country General Manager, HK and Head of HR for Philips. HR leadership, strategic and organisational design & restructuring; managing change for success and delivery, people development, talent management & succession, executive & performance coaching, professional mentoring, mindset and cultural change facilitation. She is passionate about bringing the best out of people for individual growth and organisation success. She provides voluntary career coaching and counselling to graduates and high school students. She is certified trainer on Insights, MBTI, DISC, Assessment Centre, Accelerating Individual/Team Performance. To contribute to the community, Ms. Tse shares her experience, insights and knowledge by delivering talks in various human resources forums/ events in Hong Kong, Singapore, Malaysia, and Indonesia; as well as in MBA/EMBA classes of universities in Hong Kong (including HKU, HKUST, CUHK, City University, Poly University, Institute of Vocational Education) and Hong Kong Council of Social Services.